One of Germany’s oldest and most reputed automobile manufacturer, Volkswagen has added a new trim to its premium sedan Volkswagen Vento in the Indian car market. This new trim will be called Comfortline and will be sold along with the other two variants – Highline and Trendline across the country. The company’s Director and Member of Board, Mr. Neeraj Garg, while commenting on the launch of this Volkswagen Vento Comfortline variant in diesel said that the company was getting a lot of enquiries and requests since the launch of this sedan, asking them to develop a mid level variant of this model. With the launch of this model now the company is very happy that it has been able to develop this sedan according to the taste and desires of their customers. 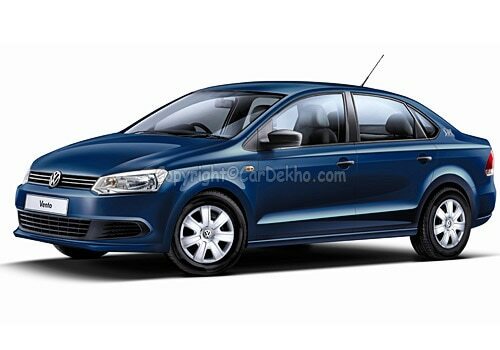 Volkswagen Vento price range is between Rs. 7.08 lakh and Rs. 10.02 lakh, ex-showroom New Delhi and it covers all the variants offered by the company. This sedan has been incorporated with many new gadgets like an advanced and state of the art music system capable of playing CD’s, MP3 player and FM Radio. Both the front and rear bumpers have been fitted with bright fog lamps for enhanced visibility. There is an arm rest between the rear seats for added comfort to the passengers sitting behind. The driving seat can be attuned as per the driver’s height for a better driving experience. The outside rear view mirrors can be adjusted electrically from inside the car itself. All these new features have been added to attract the customers as stated in a Volkswagen Vento review. The exteriors of this sedan are brilliant with a stunning overall design. The front grille has chrome inlays and also houses the signature emblem of the company. The sides of this sedan are sleek and the Alloy wheels add to its magnificence as visible in the Volkswagen Vento pictures.